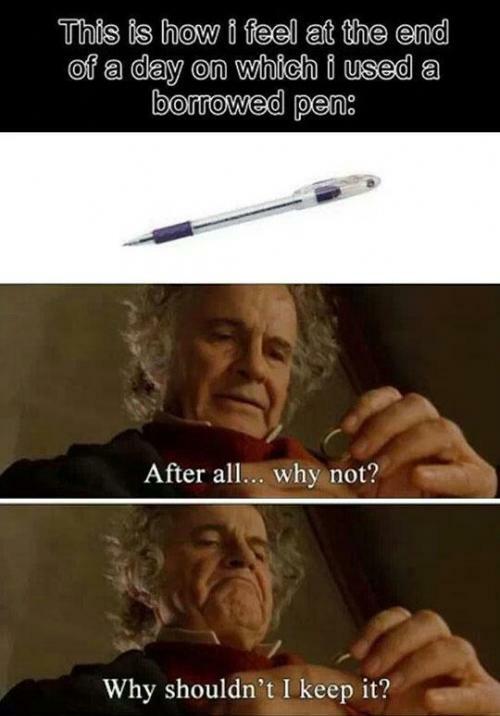 This is how I feel at the end of a day on which I used a borrowed pen: After all...why not? Why shouldn't I keep it? Why shouldn't I keep it?